Spark!lab transforms into Robo!Lab for Robotics Week 2016! Practice driving a remote control robot through a maze of straws, program a friend, design your own robot prototype, build a working circuit, or choreograph a robot dance! Please Please Join Us At “You-do-it” Electronics Center For Arduino Day! Saturday, April 2, 2016 from 11am to 4pm -Learn About Arduino & What It Is -Meet & Greet Other Arduino Enthusiasts -See Arduino Project Demonstrations Raffles, Product Specials, Refreshments & More! Featured Vendors: Sparkfun, Adafruit, Osepp & Actobotics! No registration needed. Just stop by anytime during scheduled hours! The Town of Easton is proud to announce its 2nd Annual STEAM Day to be hosted at the Easton Middle School on April 5, 2016 from 12:30 to 2:00 pm. Featuring thought leaders from the public and private sectors, the conversation will focus on the importance of Science, Technology, Engineering, Arts and Math (STEAM) education for workforce training and community competitiveness. Panel speakers include: Congressman Joe Kennedy III, Easton Selectman and Economic Development Council Chairman Daniel Smith, Superintendent of Easton Schools Dr. Andrew Keough, Assistant Superintendent Dr. Lisha Cabral, Science from Scientists Founder and Executive Director Dr. Erika Ebbel Angle, Lisa Freed of iRobot, and Tom Foley of Siemens. The event will be moderated by JD Chesloff of the Massachusetts Business Roundtable. Driven by an increasingly tech-savvy and mobile society, a growing aging population, and increasing healthcare costs, quality, and access challenges, healthcare continues to evolve and move outside of such centralized facilities as hospitals and clinics. Technological innovations have been a key enabler in the significant and growing opportunity to deliver new ways of care in skilled nursing and rehabilitative centers, the community and rural areas, home, workplace, etc. Join in the discourse. Goals of this forum: For attendees to inform and foster a dialog around these new ways of delivering and improving care and the opportunities for technological innovations using robotics to enable them. 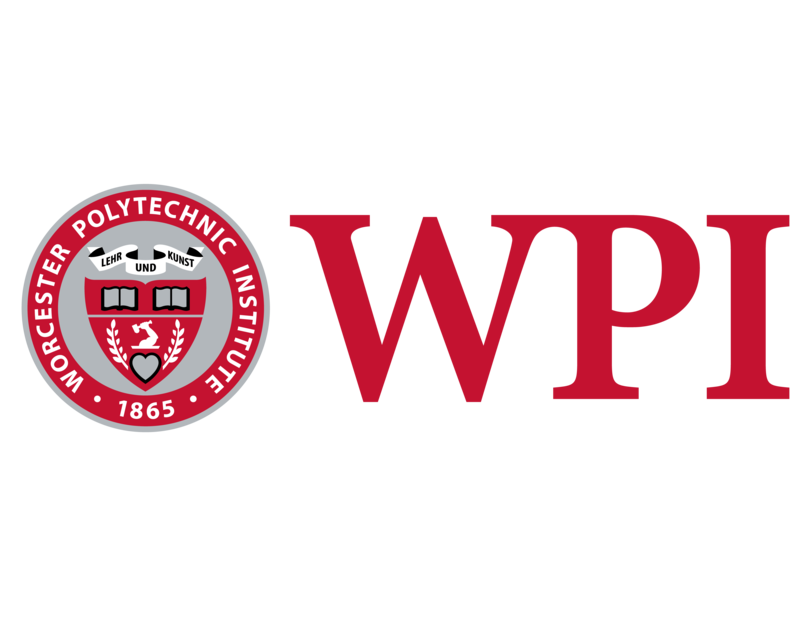 For industry (technology companies, healthcare providers, other organizations focused on the healthcare industry) and WPI researchers (faculty and students) to showcase their innovations to foster dialog and potential collaborations that could lead to commercialization. Come join us on April 8th at 6:30pm to see iRobot give us a background on the newest innovations in robotics. This event is FREE and open to the public. Celebrate Robotics Week with one of the worldwide leaders in robotics. If that’s not enough to get you excited, we’ll be serving FREE pizza and refreshments! Book now; this event WILL fill up! Parents and kids are invited! Make sure you register all of the attendees who are expected to come, that way we order enough food! 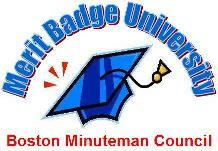 The Harvard College Friends of Scouting in conjunction with Spirit of Adventure (formerly Boston Minuteman) Council presents Merit Badge University (MBU) 2016. Merit Badges (MBs) are an important part of the Boy Scout Program. At MBU, Scouts may earn up to three MBs that are not typically available in a camp or troop setting. The Human 5K is a family-friendly 5K race for individuals, families and teams. Dress up as a robot or bring your unique gadgets and enhancements for special prizes. OR register a robot for the Robot Race. This year’s Robot Race will feature three heats of robots: tele-operated, autonomous, and minis. Please review the attachments below for each for more details. Using copper tape and LEDs, create your own artistic light up cards, paper models, and more. This program uses small button batteries and is not suitable for young children. Prepare yourself...for a Carnival of the Sciences! See, touch, smell, hear, and taste science in new and exciting ways. Are you ready? The world has changed dramatically in the last ten years since the Cambridge Science Festival began. Hear from ten different researchers as they reflect on developments in their fields over the last ten years. Find out what scientists now know about memory, gravitational waves, CRISPR, exoplanets, robotics, and more. As you’d expect, each presenter will convey their exciting overview in just ten minutes! Cash bar available. Free. You must purchase tickets to attend. This workshop is for anyone who has never played around with Arduino before and those who have played around a little bit but aren’t entirely sure about how the basics work. It’s easier than you think! We will put together basic single component electrical circuits, learn about analog and digital, input and output, basic programming concepts, practice very basic Serial communication, and briefly cover basic virtual prototyping. In the Museum's Idea Hub, create a unique chain reaction contraption that mixes virtual technology (using Scratch and LEGO WeDos) with physical items such as ramps, string, tape, and motors. Visitors will work in teams to design and build a parts of a contraption with the aim of connecting all the links together to create a large chain reaction contraption! It’s the one camp to rule them all: Video Game Design, Robotics, Animation, 3D Modeling & Printing, Music Production, and other exciting projects are all fair game. Whether it’s building a working guitar made of LEGO MINDSTORMS, designing an action-packed video game to challenge friends with, or creating an animated mini-movie, the options are limitless, and the learning doesn’t stop! We teach the nuts & bolts behind these subjects, and campers use their imagination to make their project come alive. Does your child seem to know everything about robots? Then explore the MIT Museum’s historic robots gallery with Debbie Douglas, Science & Technology Curator, and learn the back stories about some of the unique collection! Limited to 25 participants per tour; for families with children under age 12 only. Tickets available one half-hour before tour start on a first-come, first-served basis. It is year 2050, and you have been selected to join an elite team of engineers to design rovers for discovering water resources on Mars. This is a critical mission in order for humans to live on Mars! Learn the design process to create your own Mars rover using simple machines and Newton's laws of motion. You can only bring a small supply of materials and oxygen to Mars in your spacecraft, so you'll have scarce resources and limited time to build a rover to traverse through the mysterious planet and find water. Are you up for the mission? Pre-registration required. $10 per participant (includes Museum admission). Ages 9-12.
an you program a model sailboat to sail on its own? We think you can! The RoboSail program at Community Boating gives high school students the knowledge and skills to translate their sailing knowledge into code for a computer. Come try out our fleet of boats, see how the sensors, motors, and Arduino mini-computer work, and write some code of your own. Director of Galleries and Exhibitions, Ann Neumann, will introduce you to the creative and engaging MIT student-made pieces on display in Projects and Prototypes. Learn how the works were chosen, what motivated the artists and engineers to create their pieces, and try some of them yourself. Tickets available one half-hour before tour start on a first-come, first-served basis. Limited to 25 participants - teens and adults only. Explore what makes a robot tick in this introduction to programming robots. Students use the LEGO Mindstorms NXT and NXT-G Programming Environment to get robots sensing, thinking, and moving about. This workshop includes an introduction to artificial intelligence research at MIT and a guided tour of the Robots and Beyond gallery. Pre-registration required. $10 per participant (includes Museum admission). Ages 12+. Design, build, and test mechanisms for ship propulsion in this introduction to nature-inspired engineering at MIT. This workshop for middle and high school students features examples from MIT research labs and the Museum's Hart Nautical Collections as well as a mini-tour of the Museum's Robots & Beyond gallery. Pre-registration required. $10 per participant (includes Museum admission). Ages 12+. Dive into our exhibit halls with Kurt Hasselbalch, Curator of the Hart Nautical Collections. Learn about MIT's numerous connections to autonomous underwater vehicle development and nature-inspired robotics. Limited to 25 participants - teens and adults only. Tickets available one half-hour before tour start on a first-come, first-served basis. Enjoy all that the Museum has to offer during this free day, Under the Dome! Take a gallery tour, try your hand at building a chain reaction contraption, learn about slide rules, Polaroid cameras, kinetic art and more at any of our demonstration stations. Free. Using a variety of items (provided), such as ramps, string, tape, and motors, challenge yourself to design and build a contraption that can be linked to others’ to create a unique chain reaction contraption right in the Museum’s galleries! Free. See (and build) Cambridge, MA from a new perspective. Explore 3D models of the city, customize individual building designs, and help build a 3D-printed, crowd-sourced map for display in the Museum. Free. Explore the interface of art and engineering by creating a unique moving art piece engineered to move with gears, cams, linkages and pulleys.